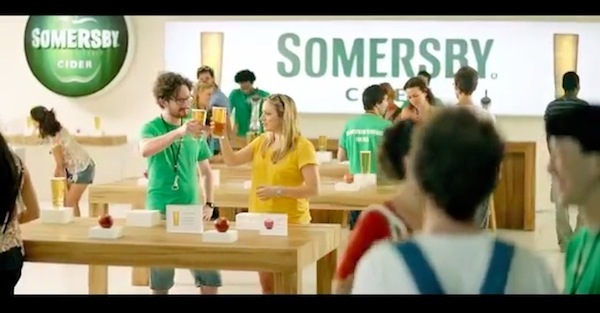 To promote Carslberg’s new cider brand, Somersby Cider, in the UK, London-based ad agency Fold7 created a spot that pokes fun at tech company Apple’s product launches. 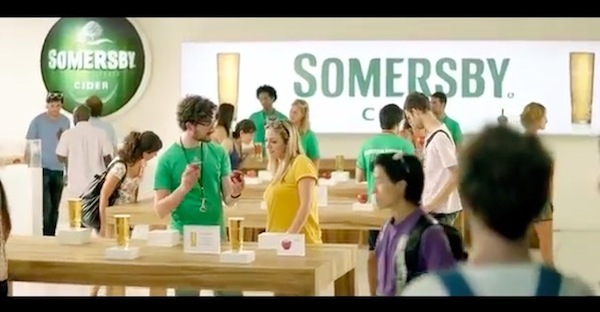 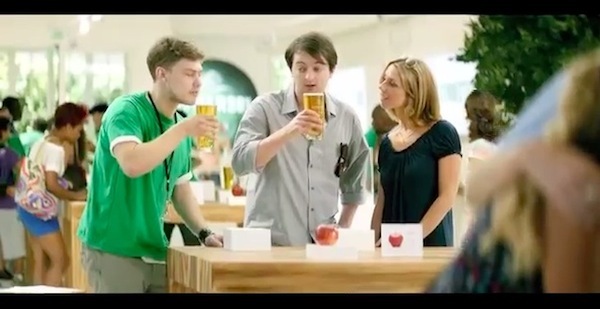 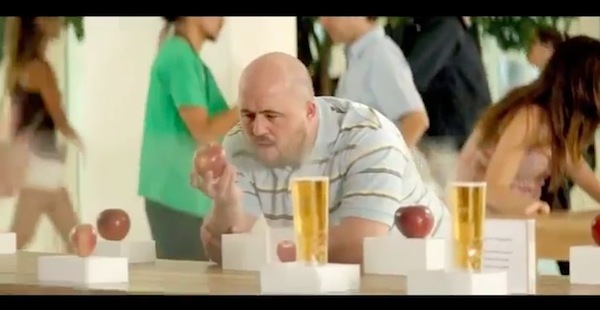 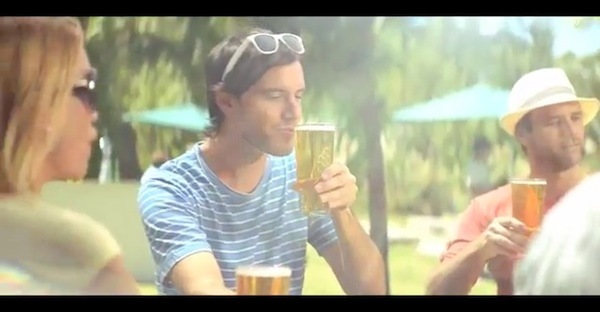 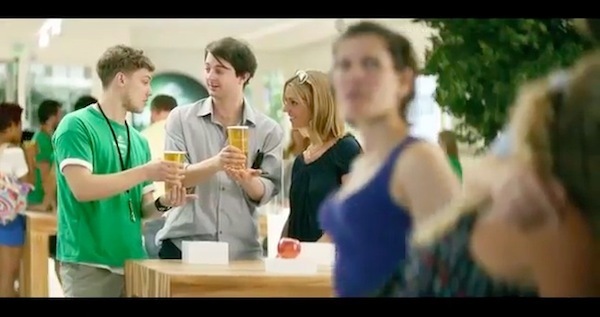 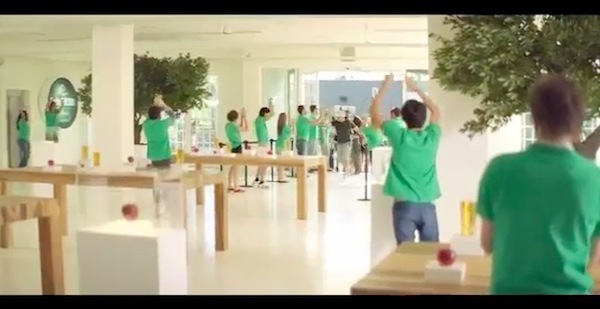 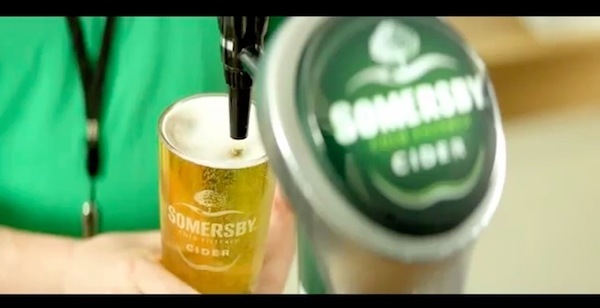 Titled ‘The Somersby Store’, the parody ad takes place in a store designed in the quintessential style of Apple—and ‘Geniuses’ are featured wooing customers with ‘tech specs’ that pun and reference the tech products: ‘dual-core’, ‘in-to-face’ (interface), ’16-pit’ and ‘32-pit’, ‘docked’ and ‘downloaded’. 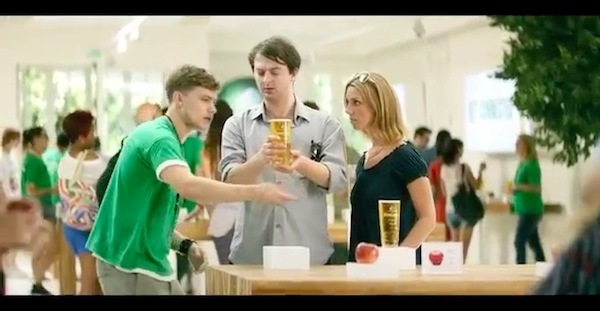 The best part about this ‘Apple’ product (cider): it works perfectly in direct sunlight.